Involved with an award winning entry and want a personalized WebAward plaque or certificate? Since 1997, the Web Marketing Association's annual WebAward Competition has been setting the standard of excellence for Website development. Independent expert judges from around the world review sites in 96 industries. The best are recognized with a WebAward which helps interactive professionals promote themselves, their companies, and their best work to the outside world. 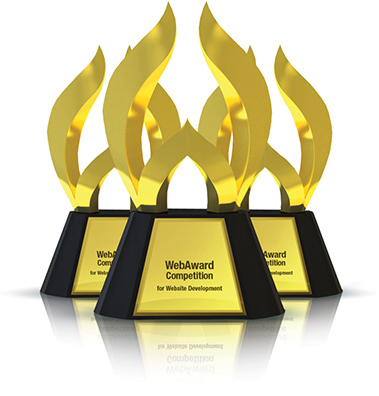 The WebAward Competition is the premier award recognition program for Web developers and advertising agencies.